Its really cool seeing YouTube mobile app with new interface as officially announced back in March, iOS got it immediately after it announcement and since then we have been waiting for Android version which is finally out. But its kind of strange that YouTube roll out first to iOS users and not only that it took like six months before rolling out to Android users. It has been confirm to be officially out and some Android users has started seeing the new dark theme interface already which is embedded under setting for as many user that will love to see how it appear. The new dark theme will be appearing on latest version of the YouTube app, so if its not appearing yet then go ahead and upgrade to higher version. 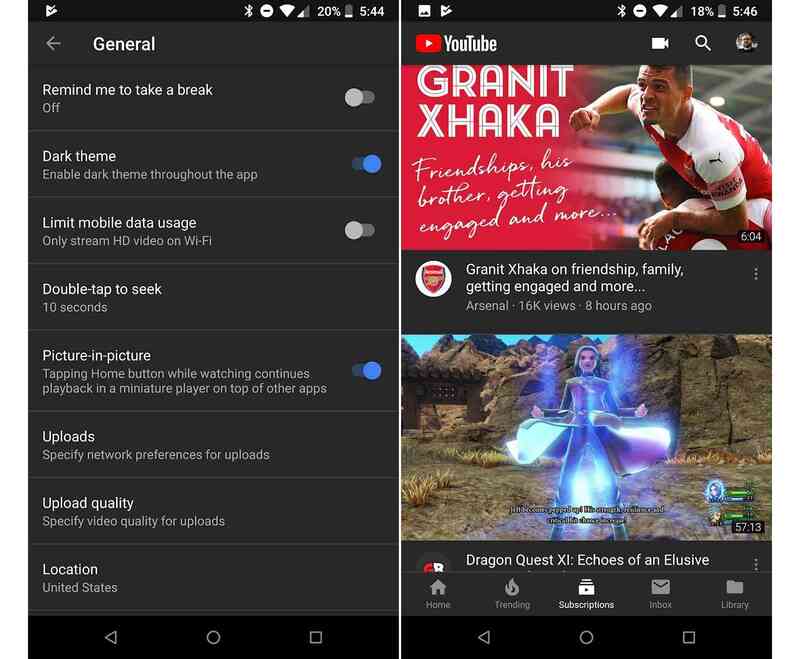 It seems the dark theme will be more preferable to white theme giving you night mode dark theme which will allow you to use YouTube app in darker environment. You can toggle the dark theme on and off by tapping your profile photo in the upper right corner of the app and then going into Settings > General > Dark theme.